Queen Size Fitted Earthing Sheet. 230 Thread Count, 100% Cotton, interwoven with over half a mile of antimicrobial Medical Grade Silver Yarn. Size 60″ W x 80 L”. Each side of the Sheet has a pocket that wraps around the mattress to hold it in place securely. 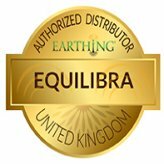 Will fit mattresses up to 6′ 8″ by 5′ wide.Experience and enjoy Full Body Earthing while you rest and sleep. Also no need to worry about bed bugs due to the naturally inherent antimicrobial nature of the silver yarn. 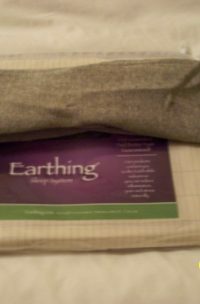 Use just like any normal Bed Sheet, but gain the benefits of being grounded at night.If you prefer something a little more expansive than the Earthing Bed Pad, then this is the ideal alternative solution. Material is washable using gentle detergent with Wool Logo and can be ironed on synthetic setting. ALL CONNECTIONS INCLUDED. NOTHING ELSE TO BUY. 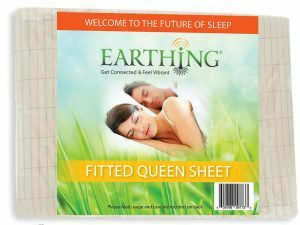 Queen Size Fitted Earthing Sheet UK Mains. 230 Thread Count, 100% Cotton, interwoven with over half a mile of antimicrobial Medical Grade Silver Yarn. Size 60″ W x 80 L”. Each side of the Sheet has a pocket that wraps around the mattress to hold it in place securely. Will fit mattresses up to 6′ 8″ by 5′ wide. 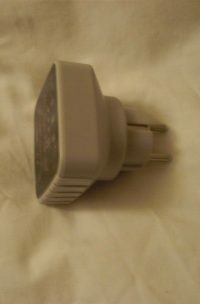 Therefore covers any double bed up to five feet wide. 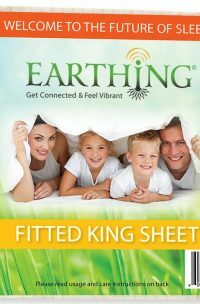 Wider beds need our Super King Size Fitted Sheet which will fit a width of up to 6′ 8″. 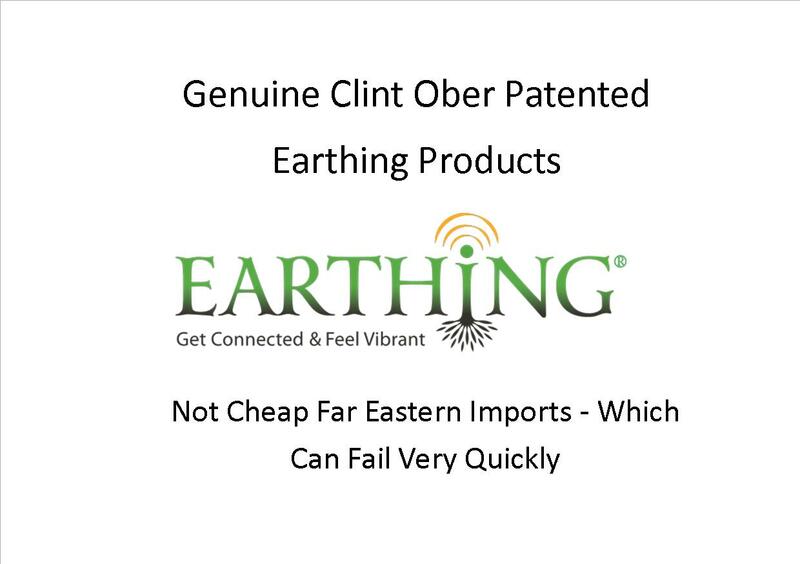 Experience and enjoy Full Body Earthing while you rest and sleep. Also no need to worry about bed bugs due to the naturally inherent antimicrobial nature of the silver yarn. 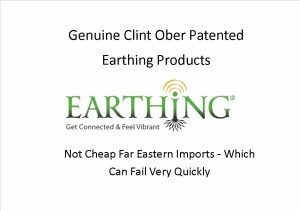 Use just like any normal Bed Sheet, but gain the benefits of being grounded at night.If you prefer something a little more expansive than the Earthing Bed Pad, then this is the ideal alternative solution. Material is washable using gentle detergent with Wool Logo and can be ironed on synthetic setting. ALL CONNECTIONS INCLUDED. NOTHING ELSE TO BUY.